Quick review of the La Sportiva Ultra Raptor Trail running shoe. Bottom line? I have logged a few miles in these shoes and have had no problems. They are comfortable and have done their job well. Be sure to check and double check to make sure the size you order is the size you want because they are Euro system sized. Literally the first run I did in these shoes was an 18 mile run up a canyon and back down. I didn't know what size to get and while these were at first a little tight, they have stretched out a little and now I don't have any concerns. That first run up the canyon was fun. I got up so high that I eventually was on snow for a few miles before I turned around and headed back down. In both directions the shoes performed well. These shoes work well with some OR gators. 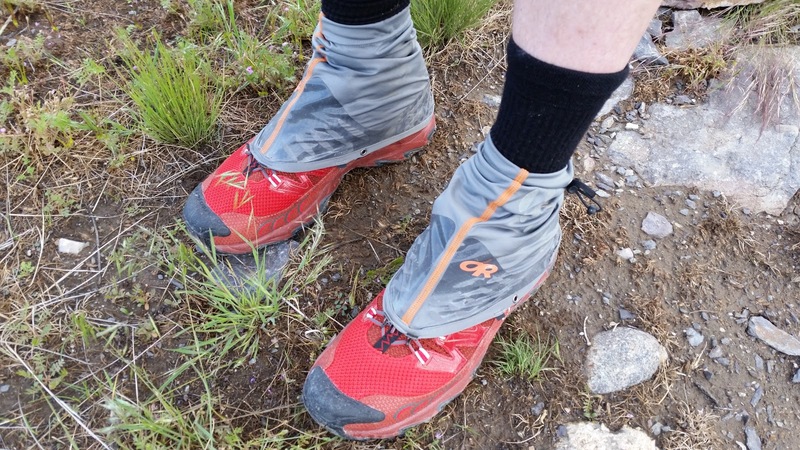 On my first 50 mile race I threw these shoes in a drop bag for the aid station at mile 32. 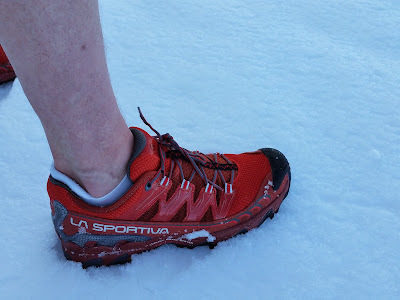 Because they have a little more cushioning I had decided that it would be helpful for the slightly more rugged and inclined portions of the course. So for the miles that I have logged I have enjoyed these shoes very much.